This delicious Portuguese baked omelette (omeleta de forno), is great for breakfast or brunch, serve with buttered toast. In a bowl, combine the eggs, milk, flour and baking powder and beat very well. 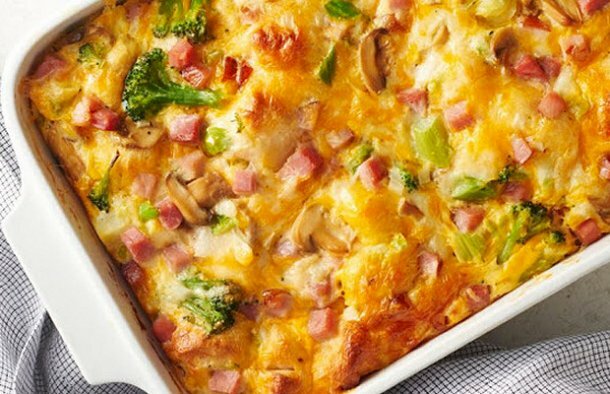 Add the onion, tomato, ham, mozzarella, oregano, mushrooms and broccoli. Mix everything and pour into a greased and sprinkled with flour baking pan. 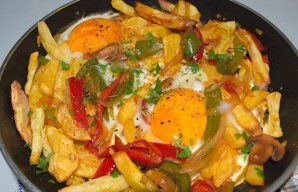 This Portuguese fried eggs with fries and pepper strips recipe is incredibly easy to prepare and makes an amazing tasty meal. 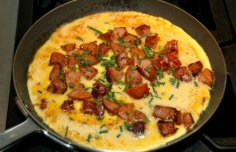 Learn how to make this chouriço or linguiça omelette for breakfast.